SiriusXM announced today that the Eagles will perform a special invitation-only concert for SiriusXM listeners at the Grand Ole Opry House in Nashville on Sunday, October 29. 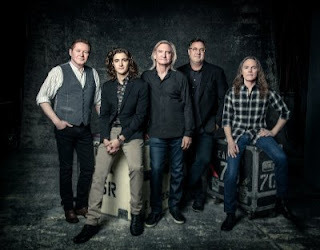 The concert marks the first time the legendary Grammy Award-winning band - Don Henley, Joe Walsh and Timothy B. Schmit, with Deacon Frey and Grand Ole Opry member Vince Gill - will perform at the iconic venue. "The Eagles performing at the Grand Ole Opry House will be an unforgettable evening and SiriusXM is the perfect partner for this event," said Eagles manager Irving Azoff. "One of the greatest, biggest-selling bands in history playing the storied Grand Ole Opry House for the first time ever will make for a historic event and a great evening for SiriusXM subscribers," said Scott Greenstein, President and Chief Content Officer, SiriusXM. "We're excited to present this very special broadcast and the Eagles own channel for our listeners nationwide." The concert will air on SiriusXM's Eagles Channel, the limited-run channel presented by the band over ThanksgivingWeekend. SiriusXM's Eagles Channel will feature music from the band's extensive career as well as their solo records and influences. The channel will launch mid-November and will air through the Holidays. SiriusXM's Eagles Channel will be available via satellite and through the SiriusXM app on smartphones and other connected devices, as well as online at siriusxm.com. SiriusXM will present a live, three-song sneak peek of the private SiriusXM concert at the Grand Ole Opry House on October 29 on SiriusXM's The Bridge (ch. 32), Classic Vinyl (ch. 26) and The Spectrum (ch. 28). SiriusXM subscribers since September 12, 2017 can enter for the chance to win a trip to Nashville including airfare, hotel stay and a pair of tickets to the show. See Official Rules for complete details at siriusxm.com/Eagles.